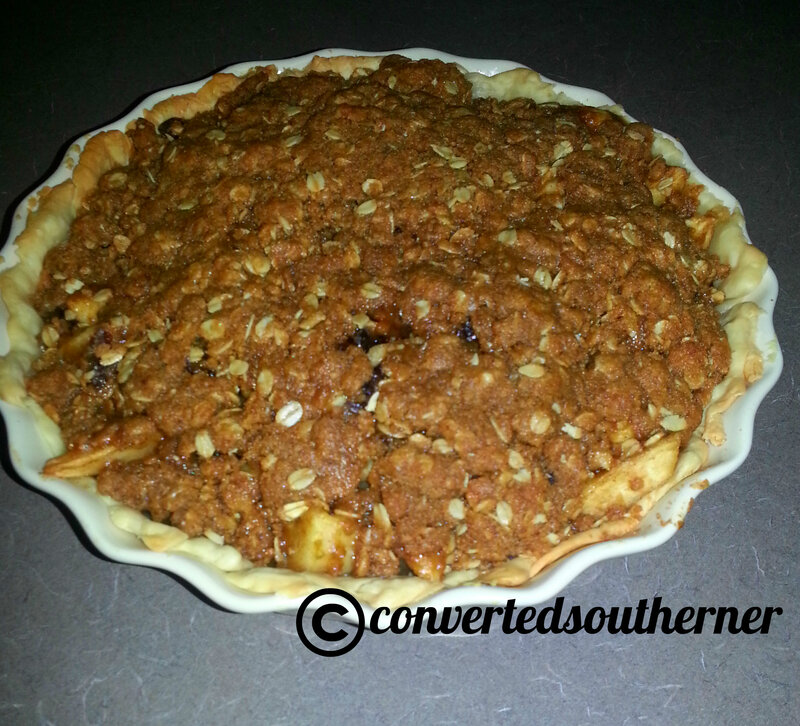 My typical Thanksgiving pie is Carmel Apple Pecan Pie. It is amazing and you can find it HERE. When I asked my Dad what sort of dessert he wanted for Thanksgiving he said something with out nuts (he has a tendency to get diverticulitis… nuts and seeds can be contributors to that) so I decided to make a different type of pie. I looked through my recipe books, searched Pinterest and the some other places and couldn’t find exactly what I wanted. 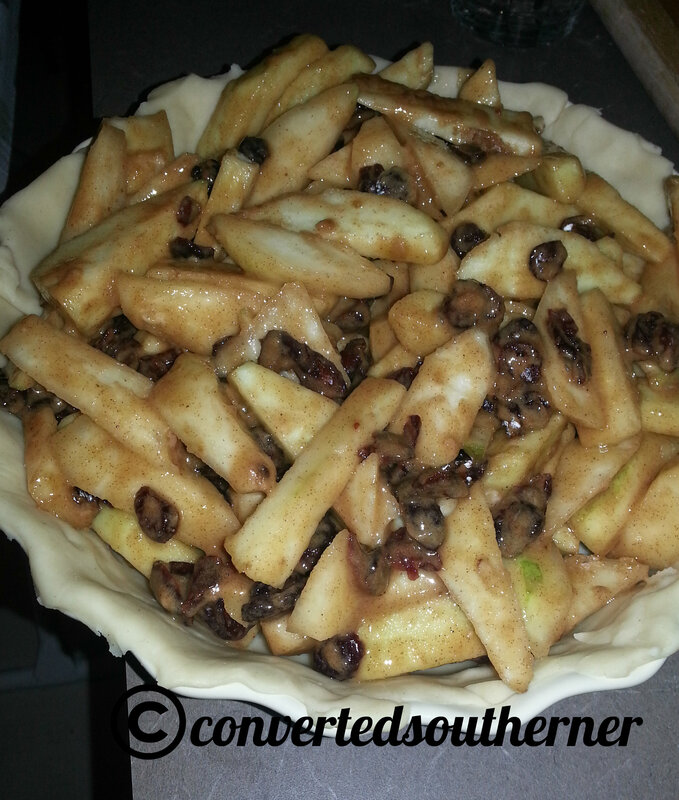 So I ended up combining about four different recipes and made my own: Apple/Pear/Cranberry pie. I liked it, it was very tasty… but I didn’t love it. For two reasons. 1) I don’t LOVE pear. I tolerate it, but I love apple and cranberry. Pear seemed like a fun idea and it was good, but not something I would crave enough to have again. 2) I hate nutmeg and for some reason I made a last second decision to toss some nutmeg into the filling. The fact that I bought the nutmeg over a year ago and actually had to break the seal to put it into the pie should have been my reminder that I don’t like it…. but I was trying to be festive. I won’t do that again, so I will say the nutmeg in this recipe is optional. Regardless, it was a very yummy pie. Apple, Pear and Cranberry Pie with ice cream! ½ cup of butter, cut into squares. Slowly mix the dry mixture into the large bowl with the fruit. Toss until mixed well. Mix the brown sugar, flour and oats from the crust recipe in a medium sized bowl. 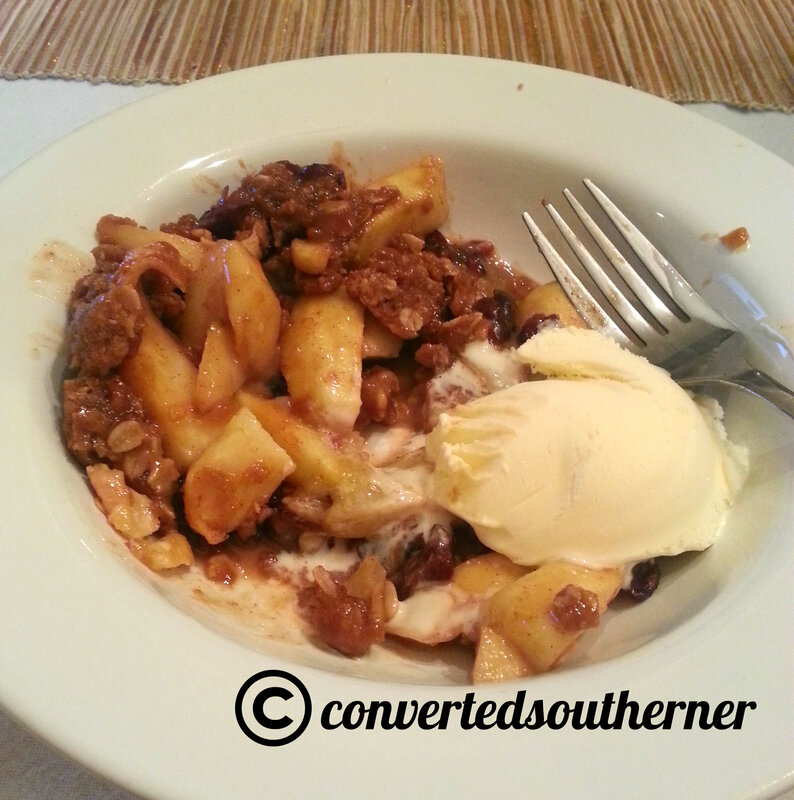 Add in cut butter pieces and mix well with hands so it all sort of crumbles together. It almost makes a crumble/ paste. This best served warm and with vanilla ice cream or whipped cream!